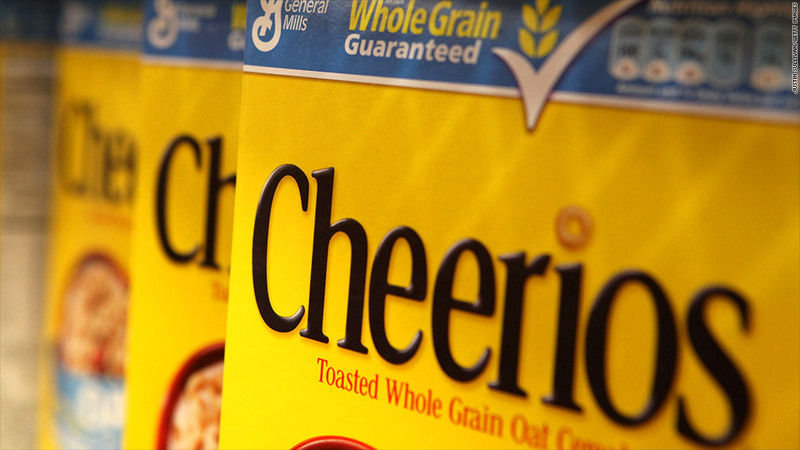 General Mills switched to non-GMO sources for its original Cheerios. General Mills said that it has changed the sourcing of ingredients for its original Cheerios cereal, after an activist group said that the company bowed to pressure and stopped using genetically modified ingredients. "We switched from what we were using to non-GMO corn and non-GMO pure sugar cane," said General Mills (GIS) spokesman Mike Siemienas. He said the company did not change the formula and has never used genetically modified oats. The company said that it has always used whole grain oats. But he said the company did switch from using beet sugar, which is sometimes genetically modified, and also switched from certain sources of corn to ensure that their corn sources were not genetically modified. He said this change occurred over the last year and required a significant investment. However, these changes apply only to original Cheerios, he said, because purging genetic modification from the myriad other types, like Honey Nut and Apple Cinnamon, would be "difficult, if not impossible." "We do value our Cheerios fans and we do listen to their thoughts and suggestions," said Siemeinas. Activist groups GMO Inside and Green America said General Mills has responded to social media pressure to make the change. "This is a huge victory for the non-GMO movement," John Roulac, co-founder of GMO Inside, said in a statement.